Today people have become very conscious of the way they look. 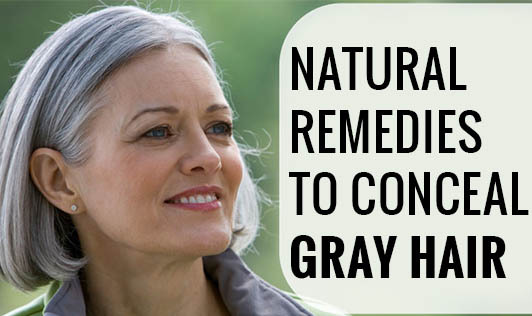 With the advent of stressful lifestyles the sight of premature appearance of grey hair is not very uncommon. Here are some natural remedies to conceal your silver strands. 1. Sage leaves help to darken grey hair. Method: Make a strong infusion using sage leaves. Cool and strain. Add tea and ground cloves. Mix in henna. Application: Apply onto hair and scalp. Leave on for thirty minutes and rinse off. Method: Heat oil in a pan. When warm, add sandalwood, coffee, and amla powder. Keep stirring until oil separates from the residue. Strain and fill in a bottle. Application: Massage well and leave overnight or at least for three hours.